How long should you workout on the treadmill? How fast? At what incline? What are the best options for the average person just trying to lose weight and stay fit? Let’s take a look. Disclaimer: Please consult with a physician before starting any exercise program. Note: This article is written with the scope of the average person with beginner or intermediate athletic skills. If you are an advanced or expert runner, we are impressed but you are in the wrong place. The information here might prove too elementary to provide benefit. If you are inactive and more than 20 pounds overweight, check out or beginner treadmill plans here. As far as calories and fat being burned, DISTANCE matters more than time or speed. Walking or running faster given the same distance does technically burn more calories, but not by much. The drawback of walking or running faster is that you will not be able to go as long and you will need more recovery time between workouts. Therefore slower and longer might be better for most treadmill goers. It’s all about getting the distance in and not killing yourself in the process. I recommend 40 minutes (with an additional 5 minute cool down) as the optimum time. That’s plenty. 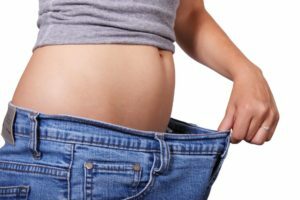 This is well past the minimum time to really get your metabolism going and it is also short enough not to burn you out or make you extremely bored. How fast should you go for 40 minutes depends on how fast you can handle. If you are up for it, walk or run faster and you will lose more weight. Note that working out at as little as 2.5 MPH can REALLY benefit your health and weight loss. Keep it in mind that you don’t have to go hard. You just have to go. If you walk swiftly at 3.5 MPH you will not burn much less calories as compared to running slowly at 4.5 MPH. Walkers should feel encouraged by this. Those in good enough condition to run, however, should not be discouraged either. There is much more to weight loss from exercise than just burning calories. Runners will enjoy a bigger metabolism boost which will help them burn more fat even when they are not exercising. Both walkers and runners will benefit from the muscle building and burn more fat when not exercising. Incline vs. Speed Settings – Which is Best for Weight Loss? Higher incline (and thus slower speed) is better given a specific heart rate. This is true for many reasons. First off, assuming a higher incline and a proportionally lower speed to maintain the same heart rate, you will work your leg muscles harder with the steeper incline. There is some strength training involved. Since your leg muscles are pretty big, this means that you will be able to burn more fat while you are sitting idle for quite some time after. All in all, you are getting more fat burning for the same amount of theoretical effort. Also, when you work out slower but steeper, there is much less impact to your ankles, knees, and hips. This is a huge advantage. However, it is my experience that too much incline doesn’t feel quite right. It’s uncomfortable, and I don’t mean it’s just harder, it just kind of feels weird. Have you ever been to the gym and seen people hanging on to the top of the screen because there incline is so high? Don’t do this – it is self-defeating. You should also take care not to hand on tot he railings or the heart rate monitors. Unless your arms are totally slack, it’s cheating. Any pulling at all by your hands and arms significantly reduces the calorie burn. I personally do not like for than 6 degrees of incline or so. Since 3.5 MPH at 6 degrees for 40 minutes is not too much of a challenge for me, I like to mix in 1 minute of running at 5 MPH (at zero incline) followed by 3 minutes of 3.5 MPH at 6 degrees of incline. That’s how I roll. Steady Vs. Interval Training – Which is Better? Speaking of mixing it up, interval training has been proven to provide increased weight loss and can be an easier way to burn more calories and fat. Such a plan might include 1 or 2 minutes of a more intense setting, followed by 3 or 4 minutes of a slower pace and incline. As I mentioned above, a variation that I like to use is to jog slowly for one minute, followed by 3 minutes of a fast walk on a reasonably steep incline. This can be easily and quickly programmed into most modern treadmill machines, and the running intervals (not the incline) can be done outdoors, too. You can work up to this too. For example, beginners can try 7 minutes of 2.5 MPH at 0 degrees of incline with 1 minute intervals of 3.5 MPH at 3 degrees incline. The idea of all of this is to get your heart rate up and then enjoy the benefits of it staying up for a while after the intense interval – even while you are taking a bit of a rest from the intense part. Think about it – your heart rate doesn’t come down right away after you go back to the slightly easier interval – it stays up there for quite a while, actually. A higher average heart rate” during your workout could result in better metabolism changes for when you are static at the office the next day. So in summary, to lose the most weight, go with a decent amount of incline (but not too much) and work in some interval training as well. Do you want to hear more about my workable diet and weight loss plan? Click here. It’s totally free and it works. Sharing is caring. Show your support to the site by sharing this post on Facebook or other site. Thanks! What do you like to do with your treadmill training? Please leave a comment.